One of my favorite things to do on a Sunday is to create something from scratch, an item that I just don’t have time for on a normal week night. I’ve made homemade soups, pizza dough, bread, pasta and more; I love that I have the time to prep properly and enjoy the whole process. It’s like running my own personal restaurant for the day. I must say though, there are some things on my Sunday cook-list I’ve been too intimidated to make on my own just by following a recipe. 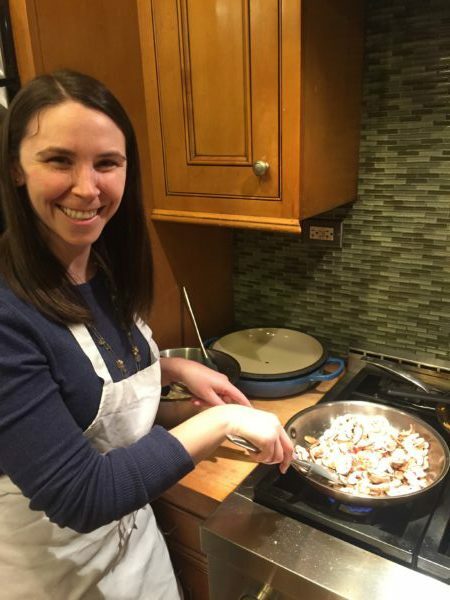 This is where cooking classes can come in handy and I recently discovered an amazing discovery and booking tool for local classes, called CourseHorse that has a wide variety of cooking classes in Chicago. Ever since returning from Asia dumplings have been at the top of my Sunday cooking list, but the number of steps needed to put them together have always freaked me out. 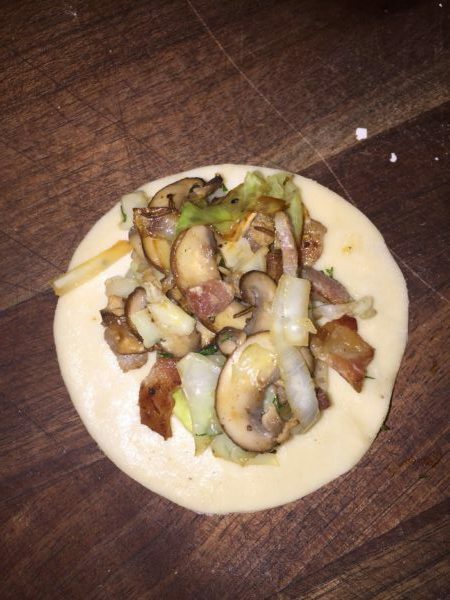 First, you have to make the dough, next the filling, fill them, and then actually do the cooking. The margin for error seems so big! So, when I saw that CourseHorse had a cooking class available from The Chopping Block where they’d teach you how to make four different kinds of dumplings, I jumped at the opportunity. 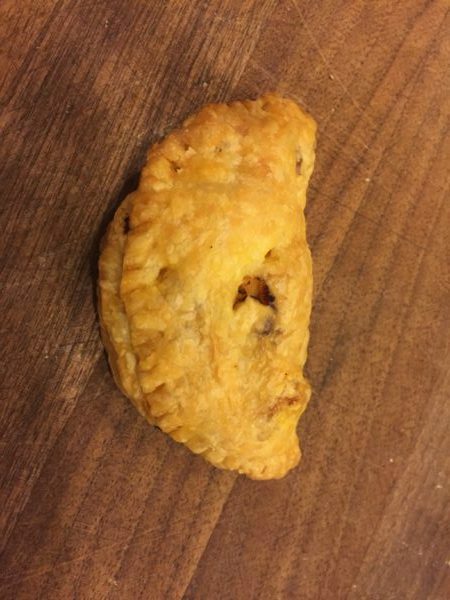 The three-hour course walked you through the step-by-step process for making shrimp pot stickers, potato and pea-filled samosas, chicken and olive empanadas and cabbage, mushroom, bacon filled pierogies. One of the reason’s I loved this class so much was that each of the dumpling preparations was completely different and they each had their own unique flavor profile. I think that my favorite might have been the pierogies; the combination of flavors (by that I mean it had bacon) was super tasty, and I learned a completely new cooking technique while making them. Once the pierogies were filled, we first boiled them and then we pan fried them in butter. I loved that the chefs from the Chopping Block broke down every step and made the whole process seem much more approachable. I was a little nervous about attending a cooking class solo. I assumed it would end up being all couples or groups of girls having a night out (the Chopping Block is BYOB), but the group I ended up with was so nice. I originally planned on ducking out before we sat down to eat, because it was getting late (School Night!) but the group was so fun I wanted to enjoy our creations with them! CourseHorse has more than just cooking classes and I’m sure any one of the classes is a great way to get out and meet new people whether you’re single, in a relationship, or with a group of friends. I’m already looking forward to signing up for my next CourseHorse class. If you’re lucky, you might just get an invite to my own dumpling party sometime soon!